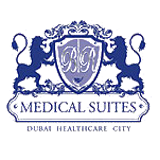 BR Medical Suites is a Healthcare facility set-up to attract top medical specialists from around the globe by providing world-class operating theaters, clinical examination rooms that are fully furnished and diagnostic services, all with excellent and well trained support staff. دكتور يوسف عامر M.D. , F.A.C.O.G.